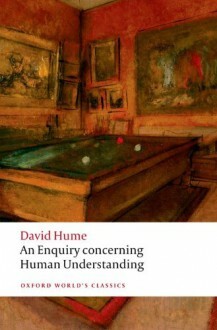 David Hume's Enquiry concerning Human Understanding is the definitive statement of the greatest philosopher in the English language. His arguments in support of reasoning from experience, and against the "sophistry and illusion"of religiously inspired philosophical fantasies, caused controversy in the eighteenth century and are strikingly relevant today, when faith and science continue to clash. The Enquiry considers the origin and processes of human thought, reaching the stark conclusion that we can have no ultimate understanding of the physical world, or indeed our own minds. In either sphere we must depend on instinctive learning from experience, recognizing our animal nature and the limits of reason. Hume's calm and open-minded skepticism thus aims to provide a new basis for science, liberating us from the "superstition" of false metaphysics and religion. His Enquiry remains one of the best introductions to the study of philosophy, and his edition places it in its historical and philosophical context.About the Series: For over 100 years Oxford World's Classics has made available the broadest spectrum of literature from around the globe. Each affordable volume reflects Oxford's commitment to scholarship, providing the most accurate text plus a wealth of other valuable features, including expert introductions by leading authorities, voluminous notes to clarify the text, up-to-date bibliographies for further study, and much more.